Man has always shaped his world… and has always been shaped by it. The world we live in is perceived by and held in our hearts by the quality and quantity of its physical and spiritual attributes. The earthly and celestial elements we hold dear can intrinsically alter who we are. We can absorb these characteristics in to our being and regard ourselves indistinguishable from them. We can become as abundant or as barren in our souls as we behold our world to be. Equally, we bestow human attributes and emotions upon our world. We strive to humanize our world to make it our sanctuary and sometimes unknowingly, our hell. This creates an illusion which masks reality but can also create a reality that obscures the illusion. The determining factor one way or another is often the presence or lack… of love. If we mold our world out of love we can create an illusion which masks the reality of man’s selfishness and the world’s indifference. If we mold our world to suit our desires we can obscure the illusion of love and create a reality of emptiness. The far northern coast of the Big Island of Hawaii is an idyllic paradise. From the moment man set foot on this rugged shore thousands of years ago to the present day, its inhabitants have revered its beauty and abundance. 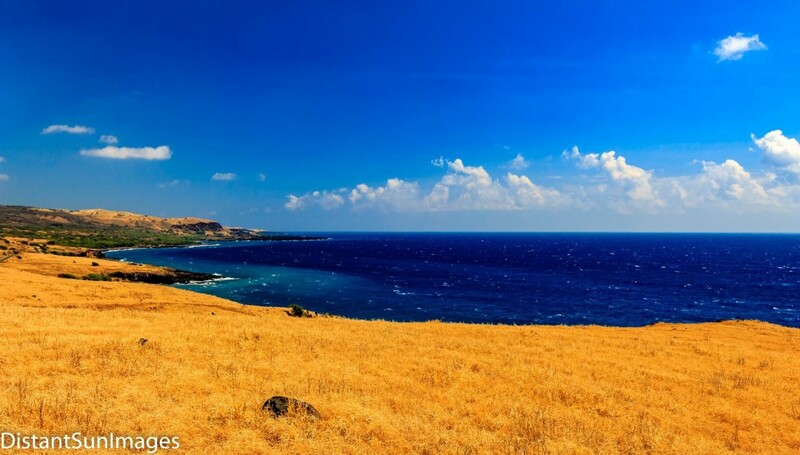 The Big Island, with its variety of physical and climatic zones, is divided into districts. The names of these districts were given by a people who were imminently bound to the land both emotionally and spiritually. These names were often passionately representative of the feelings they evoked in the people who lived upon them; none more so than the district of Kohala which means “cherished land”. Rain falls here in copious amounts as clouds laden with moisture are driven in by the nearly ever present trade winds. 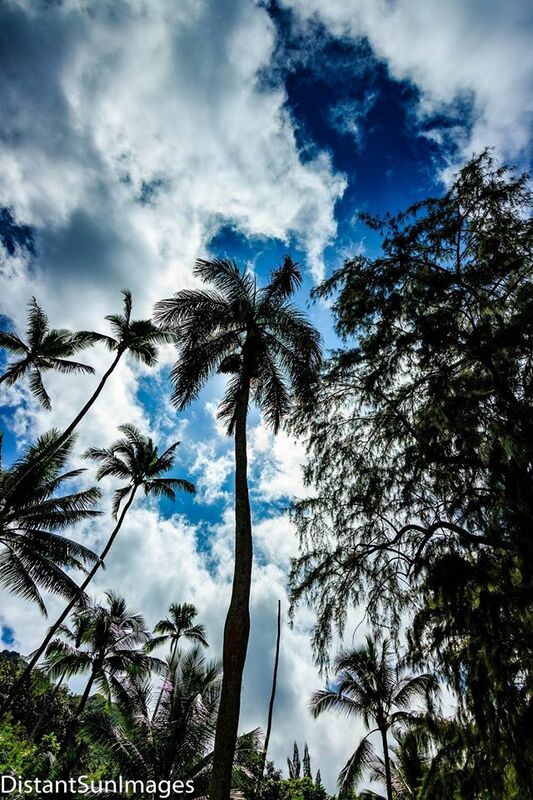 The plentiful rain showers combine with ample amounts of warm tropical sunshine enabling every living thing to flourish and multiply in abundance. Open ocean swells break upon jagged rocks at the foot of cliffs that stand as fleeting barriers to a sea that wishes to reclaim what was once hers. Mountains that rise green and regal in the distance are a home to Gods and Mythical beings… and the memory of the cataclysmic events that shaped this land. 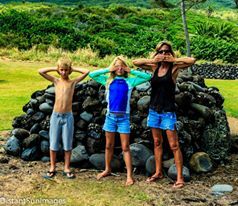 If there is a single distinguishing characteristic of Kohala which would define it for someone who had never had the opportunity to spend time there, it would be the wind. Strong trade winds from the northeast blow for weeks and sometimes months on end. 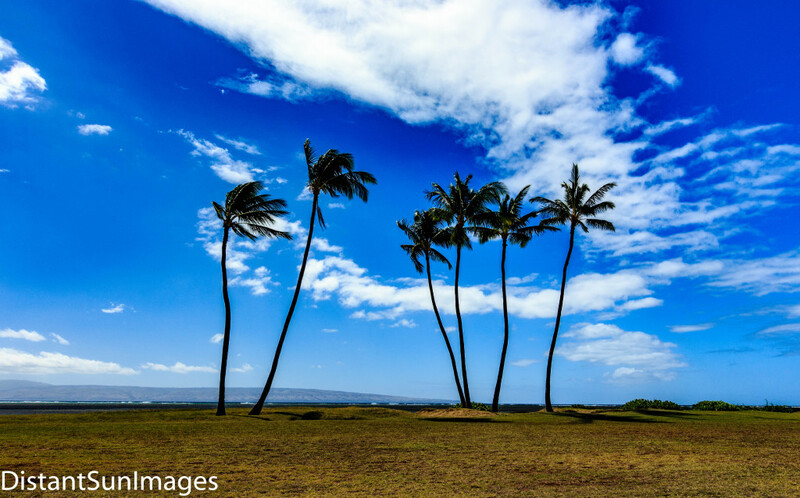 During the summer these trade winds are a cooling respite from the heat and humidity of the tropics. During the fall and spring these breezes can either be a cooling relief or likened to a cold and wet blanket on a chilled evening. Their virtues alternating, not unlike a tempest child who can’t quite make up their mind which one to be. During the winter this child’s indecision gives way to certainty as these blustery winds grow to be downright chilling. Cold, grey and angry clouds scud by depositing their contents in a never ending procession until everyone and everything is cold, damp and miserable. Occasionally though, a Kona wind will blow in from the opposite direction of the trades which will transform the winter’s chill and grey into a sultry radiance. There is a shimmering quality to this wind and the mood it conveys. The earth and sky take on a brassy metallic sheen and otherworldly appeal. Time slows as if to give everyone and everything the opportunity to realize this precious gift. At these rare moments one can justly feel they are living upon one of God’s favored creations and feel a divine presence, as if life, indeed the earth’s very spirit, were standing still… savoring a truly sacred moment. At least once a year these Kona winds blow so fiercely as to topple age-old trees. A howling and sighing can be heard as the gusts rage and seethe through swaths of forest and crags of lava. The land and sky come to be alive and spiritually connected. The melding of the earthly and heavenly expressions gives rise to a singular voice that is vehement yet strangely melancholy. The vernacular of the wind lamenting the past and warning of the future in an ancient tongue few are old enough in their souls to remember. Those that are… listen intently. 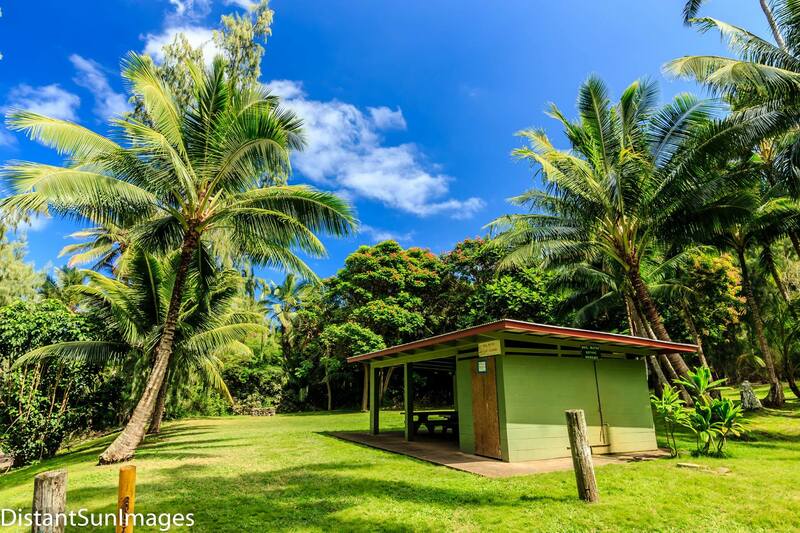 Kohala is a district that exists as much an embodiment of man’s ideals as it does a physical location. A magnificent and timeless place whose moods are dictated and sanctity heralded by the whim of a zephyr. 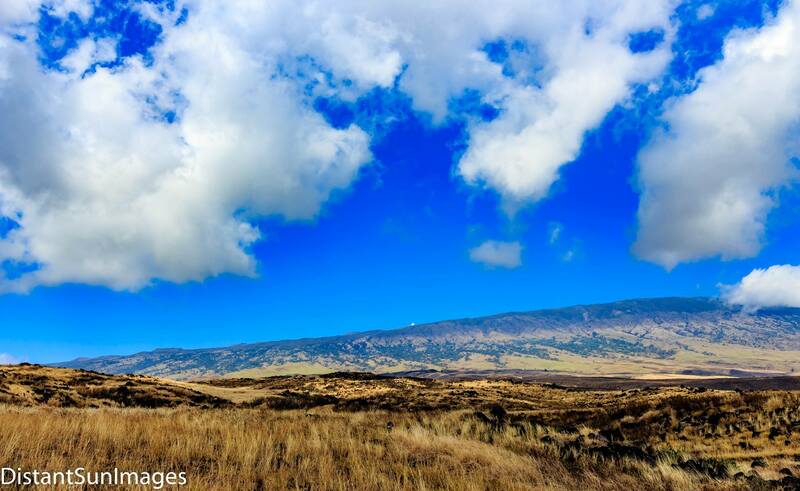 Kohala is a transcendent realm where a sacred shimmering wind speaks in whispers of sanctuary and in cries of purgatory. A wind that could perhaps be considered…the very breath of God. The weekend was fast approaching. I had very few obligations and my only plan was to cruise the island looking for the best waves or fishing spots in my trusty 4×4 truck and camp overnight if I felt like it. I got all of my stuff ready during the day Friday before I went in to work. Items such as a surfboard or two, my fishing gear, food, drinks and a cooler to put them in. All the various things I might need to surf and fish and if need be, make an overnight stay comfortable. I typically work 3pm-12am which is a great shift for taking care of things around the house or running errands during the day before work or, more likely than not, just goofing off. All packed and ready to go I will need to do very little before I set off in the morning. I get off work late Friday night and try to get some rest before setting off early. I manage a few hours sleep but I’m pretty excited about my weekend expedition and like a kid waiting for Christmas morning, it cant come soon enough. Morning finally arrives and the excitement builds as I go over the surf reports and tide charts and check my emails and Facebook for the last time for a couple of days. Funny how tethered I have become to the internet world I have created and how the remote nature of Molokai untethers me. A few cups of coffee kick start my brain and enables the motivation to get out the door. The surf is huge on Oahu but due to how Molokai lies in Oahu’s shadow there are some bits of coastline which are blocked from the massive surf. The wind is fairly light so I decide to head for Halawa Valley. 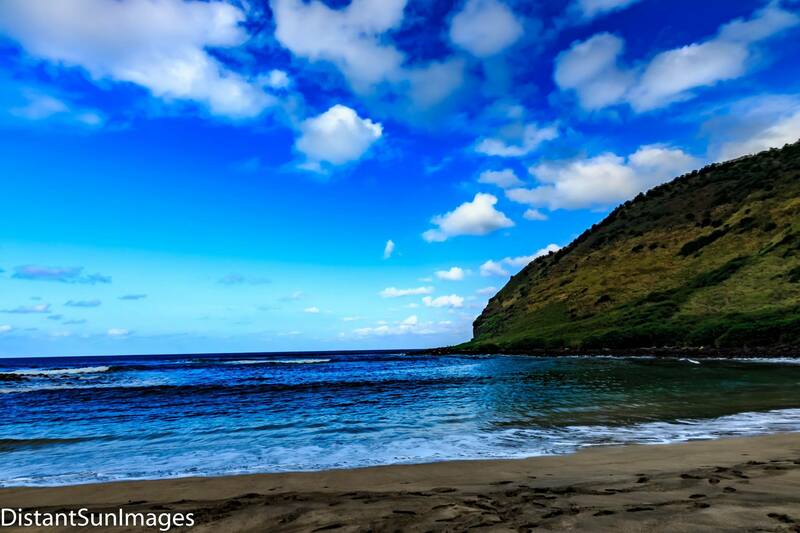 Halawa lies on the far northeastern end of Molokai which faces windward but it should be ideal on a day like this. 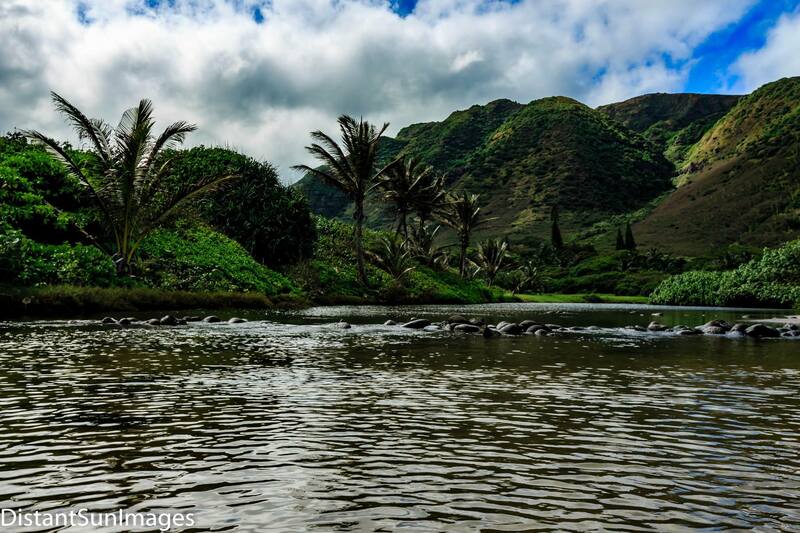 Halawa is an amazingly beautiful place and to me is very reminiscent of Waipio or Pololu Valley on the Big island. 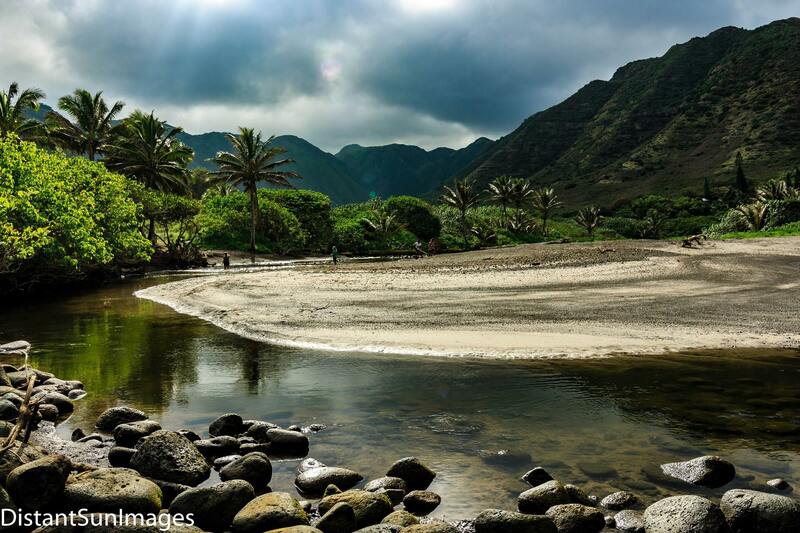 Archaeologists have found some of the earliest evidence of human habitation in Hawaii here (650 AD). It really has everything you could want if you were a Hawaiian in ancient times. Plenty of fresh water and good soil. A safe place to launch and store your canoe which of course meant easy access to the abundance of the ocean. On top of all its life sustaining attributes it is also incredibly beautiful. With everything I need and the hopes of a great day and weekend, I set forth on my adventure. Saturday morning finds many families setting up tarp tents and shelters at nearly every likely spot on the east side. Unless the weather is foul this scene is repeated every weekend of the year. 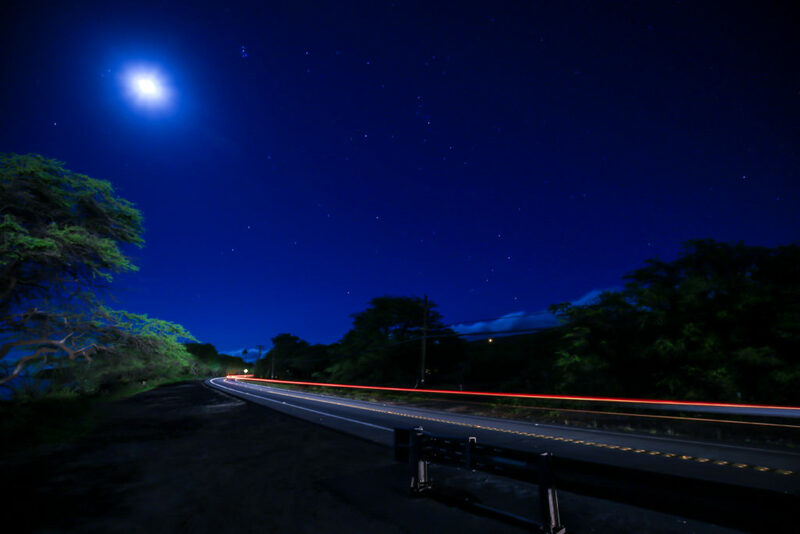 There isn’t much nightlife going on here on Molokai, at least there’s no movie theatre and only one night club to go to. Paddlers Inn has bands playing several nights of the week but aside from that there’s not much to do except go to the beach, fish, hike, hunt or explore. Camping on the beach and grilling food are primary activities here and many have it down to a science. While at the beach, snorkeling and spearing fish as well as rod and reel fishing is enjoyed by all as the possibility of throwing freshly caught fish on the grill is held in high regard. Surfing and playing in the ocean all day and then having a few cold drinks with food cooked over an open fire leads to gazing at the millions of stars as you eventually fall into a deep sleep. 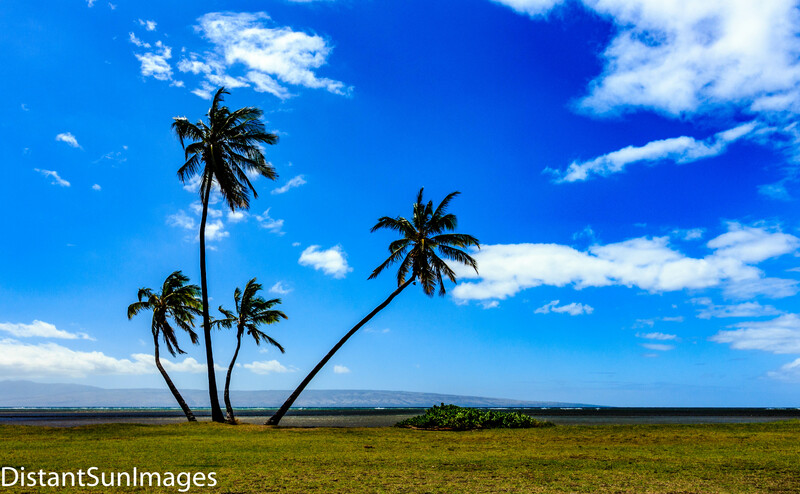 This is a taste of Molokai Heaven. Waking up to the gentle sound of waves lapping the shoreline as you ease in to a cup of coffee, a magnificent sunrise and the contentment of knowing you will repeat this soothing sequence of events for at least a day or two.. 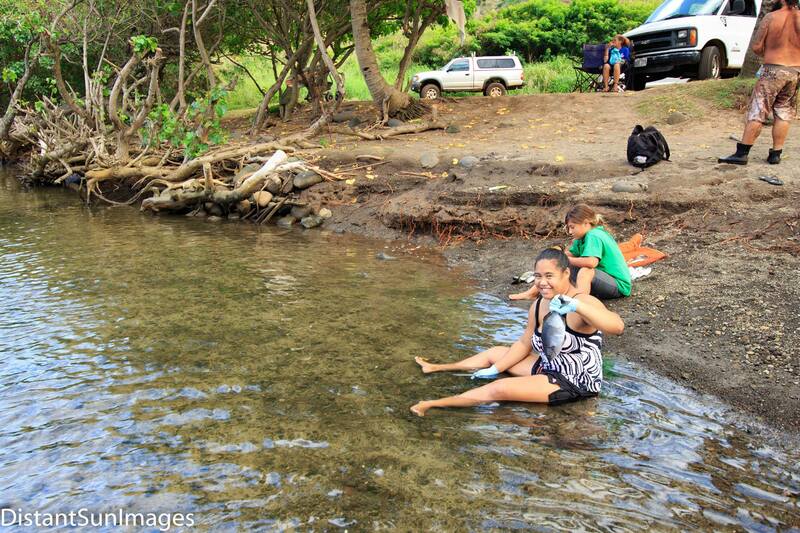 Some here on Molokai find this lifestyle so agreeable they go and live at the beach for months at a time. For me, I’m doing it a bit differently this weekend. I have all I need in my truck to stay out for days. I usually drive all over looking for the perfect wave or likely fishing spot so staying put in one place is not usually my thing. I cruise from one side of the island to the other and all points in between only stopping to surf, fish, get gas or food and sleep. I make my way out to the east end of the island slowly on the tiny, winding road. Lanai and Maui look gorgeous in the fresh morning light. 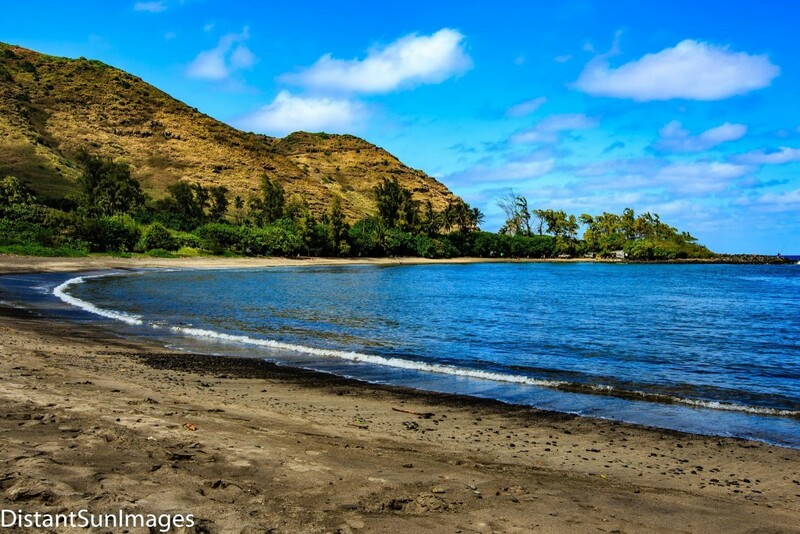 I pass Rockpiles surf spot and start the climb up in to the hills to Pu’u o Hoku Ranch. It’s so undeveloped and pristine here. A sharp contrast to Lahaina which sits just across the channel. Over there a gazillion cars and people are vying for the few parking spots adjacent to beaches which are no doubt packed to the gills with ecstatic tourists and grumpy locals who all have to share limited resources with far too many. Fifteen miles (but in reality worlds away) it is the exact opposite. A lucky few share the magnificence in peace and solitude. I pass the Ranch entrance and begin my descent in to the valley. The first couple of miles it is lush and overgrown but not quite rainforest. Dryland scrub trees and flora live in harmony with rainforest varieties which thrive more along the numerous streams which flow through these little gullies. I’d love to stop the truck and trudge off to find a secluded pool or waterfall but I’m anxious to get down to the beach and see what the surf or fishing might be like. There are not many cars either coming or going in or out of the valley and as I reach the valley floor I’m reminded of how magical this place is. I could name a hundred clichéd reasons why its so awesome down here but it comes down to the incredible feeling I get when I am here and that is beyond description. The surf is up but is bumpy and onshore which is usually the case here. There are a few fun waves to be had so I park my truck and get my board down off the racks, drink some water and wax up. The water is calm and smooth inside the bay and the sound of the board cutting through the glassy water is mesmerizing and I get a little lost as if in a dream paddling out. It could easily be mistaken as a dream as the valley is so incredibly beautiful and the water so cool and inviting. There is nearly every age group represented in the lineup. Little kids who look barely old enough to swim are out on their boogie boards, teenage rippers on their shortboards and now an old man on a long board. One of the things you will find about Hawaii if you stay here for long is the lack of exclusion or categorization. No one is judged by what they ride or their age. The commonality is what seems to be embraced. That we are all just surfers out for a slide. Fun is held in much higher regard than ego. There are smiles are all around. I start thinking it would be nice to have a fish for dinner instead of dehydrated rice and chicken so I head in to rinse off and grab a fishing pole to try my luck at the eastern end of the bay. I walk over to the eastern side of the bay where the waves are somewhat smaller. I throw my lure all over the bay for a good two hours without so much as a nibble so I decide to pack it in and make my way back to the truck. I put my fishing gear away and head over to the stream to rinse off. I love camping but the thing I like the least is being covered in salt for days on end. The stream is cool and refreshing and I’m confident I will be salt free for at least a little while. I find a likely spot to spend the night and start unpacking a few things I will need. When I get reasonably situated I sit down in my beach chair and chill out with my fancy view. I fall fast asleep for about an hour until a football comes bouncing through my campsite. Some kids are playing catch and I guess one got away from them. I awake to a polite little girl apologizing for the football and smiling mischievously at how bleary and disheveled I must have appeared. I smile and say “no worries”. I get up to shake off the cobwebs and check the surf. I cross the stream and figure a quick dip will wake me up which it does. The surf looks the same, perhaps a little less wind and a fatter tide so I decide to paddle out again. There is no one out. I catch wave after wave and each time I get back outside to catch another I stop and look around and feel so blessed. I feel like pinching myself to be so lucky. Doing what I love in an incredibly beautiful place without any responsibilities beyond trying to remember a few salient points to report In my blog and perhaps snap a few photos to document my adventure. When I’d had my fill of surf I paddled slowly back in. The wind has dropped even more and the inside of the bay is like a glass sheet. I again become transfixed at the sight and sound of my surfboard cutting effortlessly through the glassy water. Dinner is rice and chicken which is surprisingly good for being dehydrated. With my little stove and pot in hot water making mode I brew up a few cups of instant coffee. This is the kind of instant that comes in a single serve packet with cream and sugar and vanilla flavoring already added. Its really good and doubles as a caffeine fix and dessert although this wont stop me from having a few mango Hi-Chews later on. I’ll admit I’m seriously addicted to mango Hi-Chews. The sun goes down on the other side of the island and although it has gotten a bit cloudy this evening it is still a magnificent sunset. I’m not quite ready for bed so I decide to take an evening walk. I head over to the western side of the bay and walk the beach and when I’m done I decide to walk the other side as well. The other side of the bay (east) faces the wind and the open ocean so the clouds aren’t as stacked up and the stars are quite brilliant. I sit down on the beach and watch for awhile. Eventually I lay back and stare straight up, marveling at the millions of stars. I get this strange sensation of feeling the earths rotation with the sky and stars wheeling overhead. The feeling is so profound and pleasing I lay there for quite a long time. Some ants found me and quickly brought me back to reality. I could almost sense their mockery of my hippy-ish behavior and how easy it made their attack on me. I slowly get up and realize I am quite tired from my day of having fun so I head back to my truck and climb in for a good nights sleep. My sleep setup is pretty comfortable. I have a double sized air mattress and put a sheet on it. This fits perfectly between my wheel well humps in my truck bed. the holes left over I fill with pillows. The result is entire truck bed is now a sleeping bed. I usually point the back end of the truck to the ocean and keep the tailgate and back window open. That way I can hear the ocean all night long and wake up to the sound of waves. I’m soon fast asleep. I awake to the sound of the wind and waves. There are few better ways to wake up than this. I get up and check the surf which is fairly small. I’m sure when the wind picks up there will be more rideable surf later on. This is the best time for fishing so all is not lost. I grab my fishing gear and head over to the same spot as the day before. I get out on the rocks and find my spot, set my gear down and drink some water. 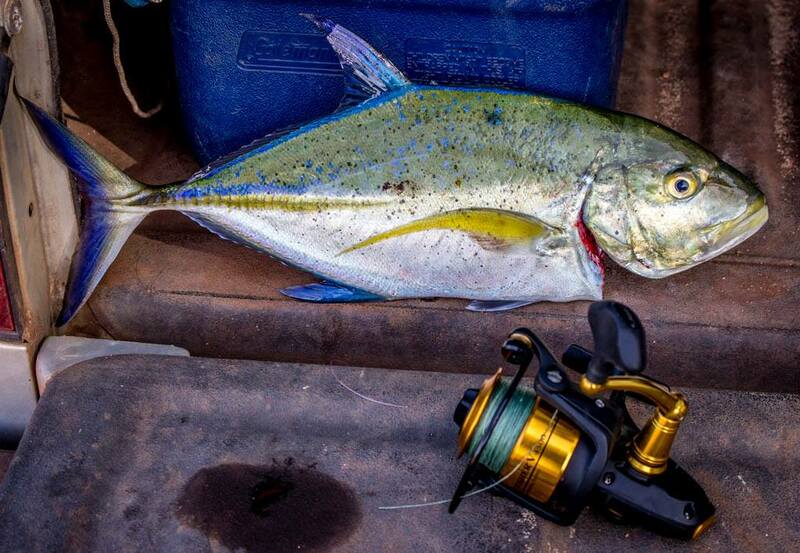 I throw my line out and as it comes back not twenty feet from me a silver flash darts out and slams my lure. The reel screams momentarily as the fish desperately realizes he’s hooked. I gingerly keep him out of the rocks and coral and finally let a wave wash him up on the rocks. There with be no instant oatmeal for my breakfast this morning! I keep casting for another 1/2 hour but I’m getting hungry so I clean my catch and head back to camp. The fish is at least 3 lbs so I get a solid 1 lb of filet. My neighbors in camp have a fire already going so I ask if it would be ok for me to cook my fish over it. They say “of course you can” so I start to cook my fish and they ask me if I have rice for my fish. As I try to politely decline their gracious offers they soon have leftovers from their breakfast getting heaped on a paper plate. A big scoop of rice, a huge pile of portuguese sausage, a Hawaiian Sun juice and a whole papaya. I don’t think I can even eat all of this! I try to share my fish but they laugh and tell me its kind of small and that they are still stuffed from their breakfast and encourage me to eat all of it. I am always amazed at how generous Hawaiians are. They will share anything with you and since food is so integral to their culture food sharing is huge. I need to reciprocate but this wont be easy to do. I bust out my entire mango Hi-Chew supply and offer it to them. They of course decline but their kids are more than willing to share my Hi-Chews. Problem solved, crisis averted and the kids think I’m a hero. A bit of a disclaimer here that not all of the natives are accepting of outsiders visiting such a sacred place so tread lightly, have respect and clean up your mess. I decide after stuffing myself with a huge breakfast to take a walk back into the valley to the old Congregational Church just past the park. It will be good to walk off all of this food! The jungle canopy looms overhead with bits of brilliant blue sky setting off the deep greens of the foliage as I make my way down the road. Birds sing and insects buzz making the whole scene alive with sights, sounds and sensations. 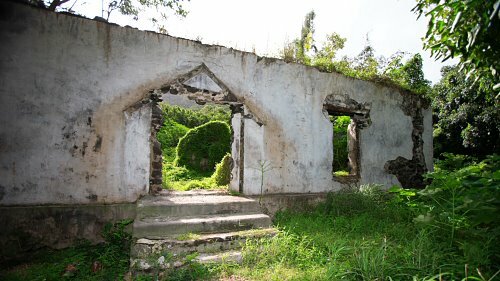 Just past the park with it’s coconut trees and grass lie the remains of the Halawa Congregational Church. Established in 1852 it was destroyed in the tsunami of 1946. Many of the valley’s inhabitants left after the tsunami and from what I understand the valley was nearly emptied of inhabitants in 1957 when another tsunami came ashore. All that is left of the church is the stone walls. I cant imagine what it must have been like for these Protestant Missionaries to be dropped off with little beyond what they could carry and be expected to carve a church out of the jungle and convince the natives to become Christians. From what I understand the missionaries were all fairly young, in their 20’s possibly 30’s and so far removed from what they considered civilization. Halawa must have seemed a different planet from the life they knew in New England. I am forever drawn to the historical context of the places I visit. What the lives were like of those who came before me is an endless source of fascination. As if higher powers recognize my need for historical context as i take of few photos and begin my walk back to my truck a very sweet and jovial lady who is walking on the road comments on what a lovely day it is here in Halawa. I noticed she has a puppy wrapped in a sarong which is fastened around her neck and arm like a sling. The puppy is wiped out from playing at the beach all morning and is fast asleep. I ask her if she would mind me taking her picture and possibly posting it on my blog. She says it would be fine and thanks me for asking. We introduce ourselves and Ipo begins telling me about her life in Halawa. She tells many stories which are all inter-related and woven into one. I try to take mental notes of the details of her story without actually asking questions and thereby turn the exchange in to an interview. My blogs are more about relating my experiences as opposed to factual reporting although I do try to be somewhat factual. Sitting on a rock wall and listening to her wonderful story in the shade of the jungle canopy was my experience so please excuse any vagueness in my recollection. Ipo told me of a Great, Great Grandmother of hers who was apparently in the court of Queen Liliʻuokalani. Her Grandmother was held in such regard by the Queen that when she had a suitor who wished her hand in marriage, he needed to ask the Queen herself for permission. The Queen granted the suitor and Ipo’s Grandmother her blessing for the union and they were married. The Bride received many wedding gifts which included fine china which featured various images of the Royal Family and Royal Crests from the Hawaiian Monarchy. These heirlooms were considered kapu or forbidden. They were never to be sold and furthermore they were only to be gifted from mother to daughter upon the daughter’s wedding day. Strict adherence to the tradition was only broken once when Ipo’s Grandfather came to be in possession of the heirlooms due to an absence of a daughter in that generation. He resumed the tradition by giving the heirlooms to his daughter, Ipo’s mother, on her wedding day. Ipo admitted she was quite a free spirit in her youth and moved around Hawaii and the mainland quite a bit. She said she never in all those years took the heirlooms out to display or even check on them. She merely changed the cardboard boxes they were in when they wore too thin. Ipo had a daughter and one day her daughter said she had set a date to get married. Ipo was ecstatic not only for her daughter’s happiness but for the fact she would no longer have be the steward of the precious family heirlooms. The years of carefully safekeeping those boxes were over and furthermore she would fulfill her obligation to continue her families tradition. She spoke with such an honesty and emotion it was impossible to not get wrapped up and enthralled in her story. Ipo, if you ever read this I hope I got most of it right and id like to thank you for sharing such an amazing story with a stranger. I make my way back to my truck and check the surf. It is a little better than before so I go out and catch a few more waves before I head back home. After an hour or so surfing, i paddle back in and put all my stuff away. I need to get back to the other side of the island and feed my dogs and take care of a couple of minor obligations before setting off to the west side of the island to see how the waves and fishing are over there. I don’t have to be back to work for another day so I am free to keep vagabonding for at least a little while longer.. As I slowly drive up the road out of the valley I feel sad to be leaving but content in the knowledge that beautiful Halawa Valley will still be here next time I visit. Aloha! We awoke to a fresh wind from the south. We had planned a beach day in sunny Kīhei, but as the clouds spun in from Māʻalaea and drove them straight to our usually dry location in lower Kula, we realized an alternate plan was in order. 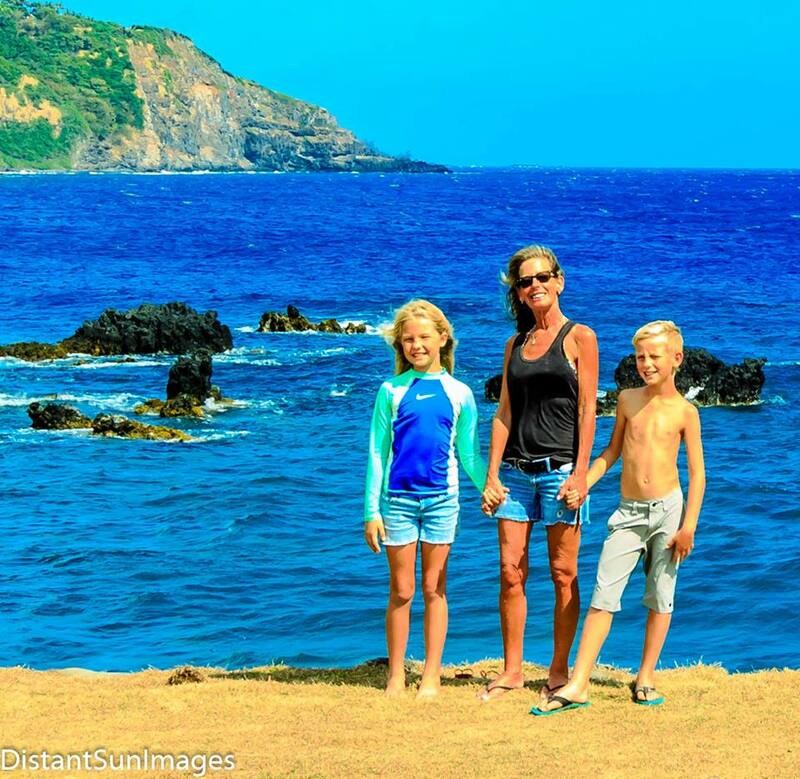 I knew the gloom of the South Shore would be a distant memory if we headed northeast to Kaupo. We gathered ourselves for whatever laid ahead of us that day, which meant packing everything from hiking shoes to slippers, bathing suits, jackets, and long pants. A quick supply run to the Minute Stop in Pukalani yielded a big box of fried chicken & potatoes, spam musubi, drinks, and some mango Hi-Chews which are highly coveted by all. We set off from the growing gloom of Kula and headed to sunnier shores, entertaining ourselves with the “Word Game”: a creation of mine whereby someone says one word and the next person replies with another word that shares a meaning or the meaning of a homonym. If the given word were “steel” for example, the response could be “stainless”, “sword”, or even “robbery”. It’s great fun and teaches vocabulary and meanings. Our word game eventually dissolved into arguments over silly points with my son Bear soon replying “Sparta” and “drunk” to every word so we decided to give the game a rest and enjoy the magnificent vistas of Ulupalakua and Kaupo quietly instead. Bear’s fascination with drunk Spartans is both disturbing and highly entertaining all at once. With every mile we headed northeast the sun grew stronger and the clouds more scarce. We eventually stopped to grab a few pictures of the coastline and stretch our legs. It was such a colorful and amazing day on this side of the island. I imagine there’s some life lesson here somewhere. If you think about it there is always a sunny place somewhere on even the darkest day. I realize this bit of philosophizing works much better on an island than elsewhere in the world but there’s no need to dwell on realism when it comes to my metaphoric nonsense. St. Josephs Church in Kaupo, Maui. Back in the car and we’re off to St. Joseph’s Church in Kaupo. It’s Sunday so there are quite a few people on this narrow road but when we arrive at St. Joseph’s there’s not a soul in sight. The sky is super blue and there are a few of those puffy “cotton candy” clouds floating by. The Church and grounds look gorgeous against the blues of the sky and greens of the vegetation. I snap a few shots and notice some other cars pulling up. This is something you have to deal with on the more crowded islands. People will be driving along and see a car parked and immediately think this is some amazing thing going on or sight to see, so they stop. I have literally pulled over to pee and had people pull over to see what was going on. Our car parked at the Church soon had at least 5-6 other cars now parked with their occupants getting out to investigate. We had our brief private moment at the church and got a few photos so it was back on the road to our next destination. We pile back in the car and then we’re off to St. Joseph’s Church in Kaupo. It’s Sunday so there are quite a few people on this narrow road, but when we arrive at St. Joseph’s there’s not a soul in sight. The sky is super blue and there are a few of those puffy “cotton candy” clouds floating by. 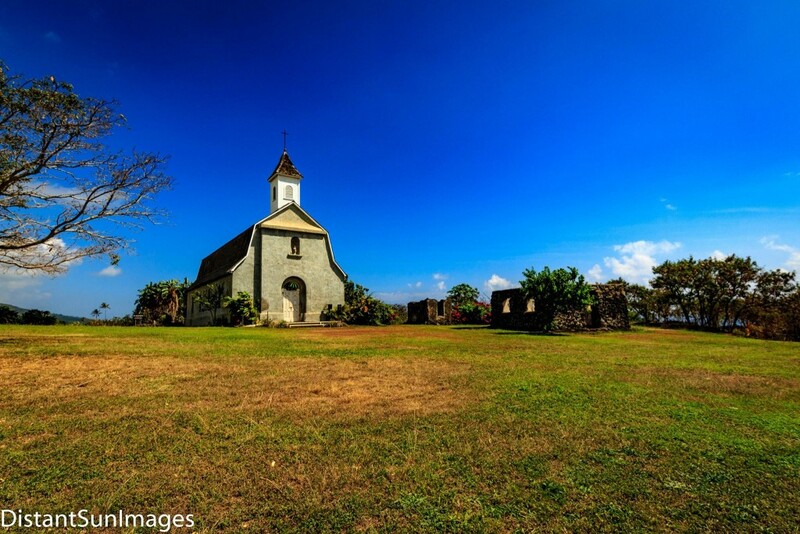 The Church and grounds look gorgeous against the blues of the sky and greens of the vegetation. I snap a few shots and notice some other cars pulling up. This is something you have to deal with on the more crowded islands: people driving along see a car parked and immediately think there is some amazing thing going on or sight to see, and they stop. I have literally pulled over to pee and had people pull over to see what was going on. There were soon at least 5-6 other cars parked alongside ours, with their occupants getting out to investigate. Our private moment at the St. Joseph’s Church was gone, and with a few photos it was back on the road to our next destination. We drove through the very heart of Kaupo past the closed Kaupo Store. 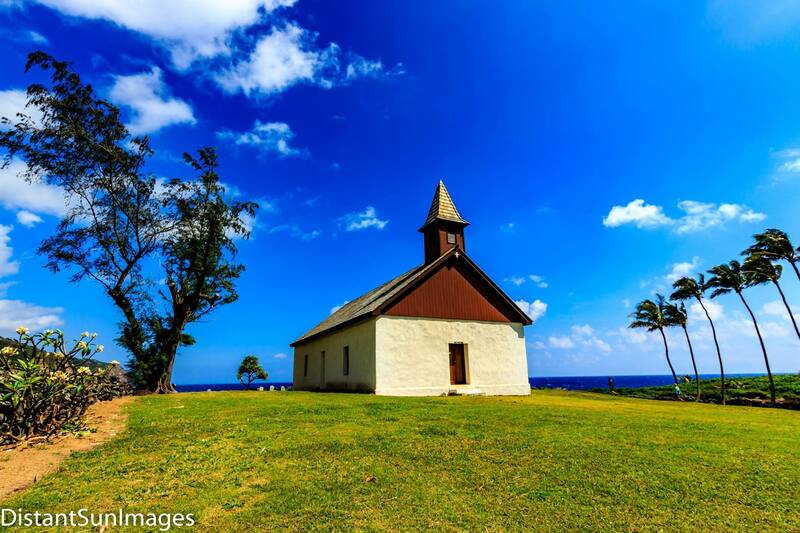 We drove on to the Hui Aloha Church for our next photo opportunity. I absolutely love this little stretch of mountain and sea. Many years ago I visited the Church and as I drove down the gravel road I met a little old Hawaiian lady who stopped to talk. She asked me where I was from and what I was doing in Kaupo. At the time I was working at the Hana Medical Center, and we ended up talking about the challenges of living in a remote location especially as one gets older and needs frequent medical care. She then said something to me which I didn’t think much of at the time, yet it stuck with me: the light of Heaven falls here first and on the rest of the world after. Every chance I get I come and enjoy the beauty and solitude I find here. I have come to understand what she meant, and now believe as she did that Kaupo is about as close to Heaven as you can get without actually giving up the ghost. After I get some great pictures of the kids, the Church, and my beautiful girlfriend Penni, I decide to set aside my camera and my blog-driven aspirations to head to a waterfall a few miles away to cool off and give the kids something more to do than stay out of the way of my photo-ops. We arrive at our destination and have a picnic. I really like Minute Stop fried chicken! We finish our food and head into the canyon to go for a swim at the waterfall. 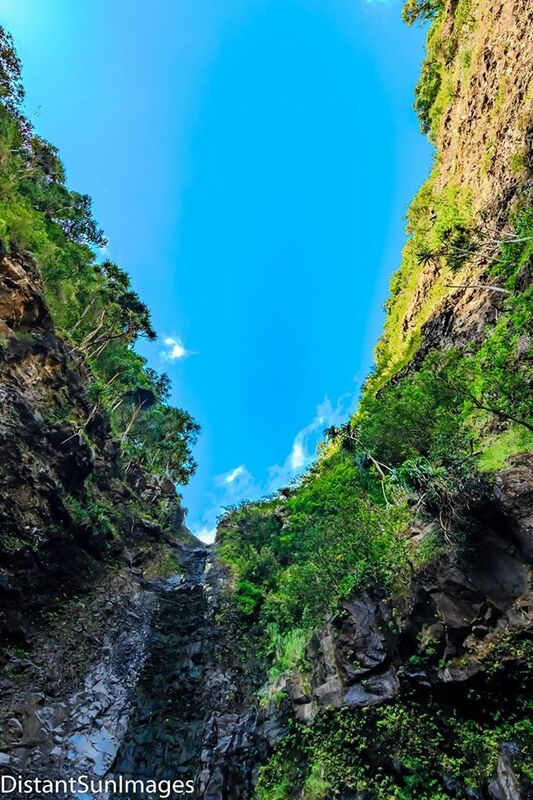 The stream bed was bone dry (which is not the best sign for a waterfall), but the canyon is stunning with it’s lush greens contrasted by black lava rocks and the deep blue sky. We arrive at the falls to find barely a trickle, but there is still a fairly deep pool of cold water at the base which looks very inviting after the hike through the heat and humidity of the valley. Eva and I head right in. She’s quite the water-child and never misses an opportunity for a dip or swim. The water is cold but so refreshing! When Bear finally comes in, the three of us realize someone is missing the fun. We politely tell her to put down her phone and sunglasses so nothing gets harmed when we throw her in. After successfully throwing Mom in, which is always the highlight of any beach or fun day, I snapped a few photos and we headed home. We only get a few miles until we run into a wagon train of cars heading home at a blistering 8 mph. I decide it would be better to stop at the Kaupo Store and relax on their porch steps for a half hour or so than be stuck behind a bunch of cars in the dust. There’s such a timeless quality to this place. Sitting on those steps watching the kids play as the clouds scudded by I was reminded of how lucky we are to live in this amazing place. We jumped back into the car and headed home on a much emptier road. We made good time and were soon back in `Ulupalakua where the skies were quickly darkening. By the time we reach Kēōkea, it’s raining hard with the clouds are low and the visibility poor. It is such a sharp contrast to the colorful and bright district we just left, but it is also a fitting end to a day that was filled with spectacular sights and wonderful company. Lower Kula was cold and wet when we tiredly returned home. A hot shower and dinner are going to be the perfect ending to this perfect day. Lucky we live Hawaii. We say this a lot here and usually with good reason! Aloha!